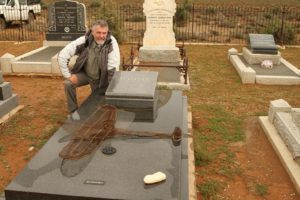 My special thanks to Tinus le Roux who is very active for the SAAF Museum and has many articles and information about the SAAF during WW 11. 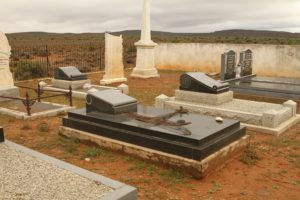 He paid a visit to Pampoenpoort the farm which belonged to the Hugo family, and where ” Dutch ” Hugo farmed and lived before he passed away. The photo’s show that old farm house, which is not occupied, but is maintained by a family who worked and lived on the farm. 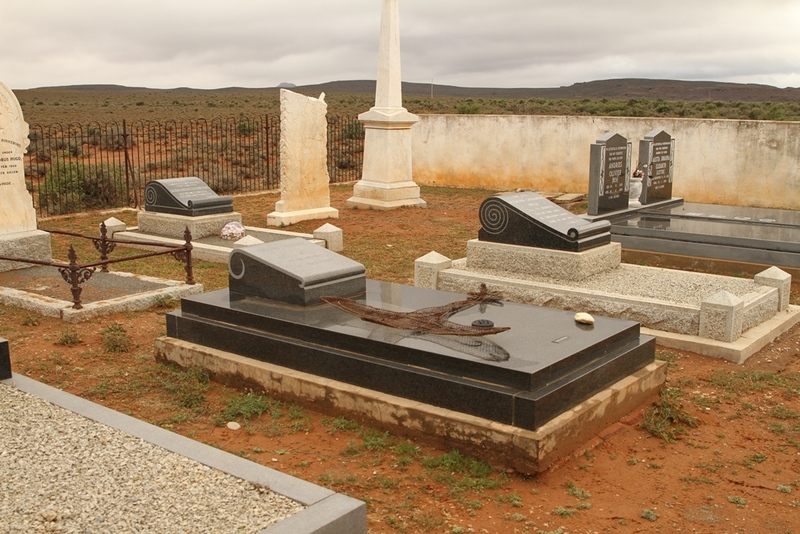 You will see the Family grave yard and a photo of Tinus by ” Dutch ” Hugo’s grave. 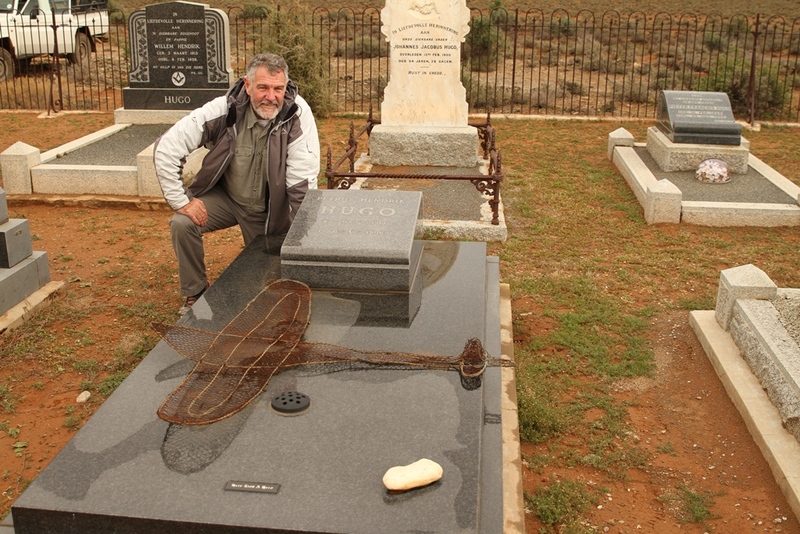 Of interest is the wire aircraft on the grave which we understand was made and placed on the grave by a relative Wouter Hugo who retired from the farm Boonste Pampoenpoort and is now resident at the coast. 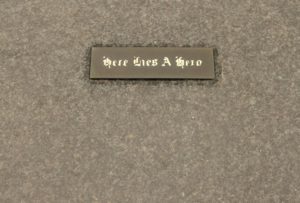 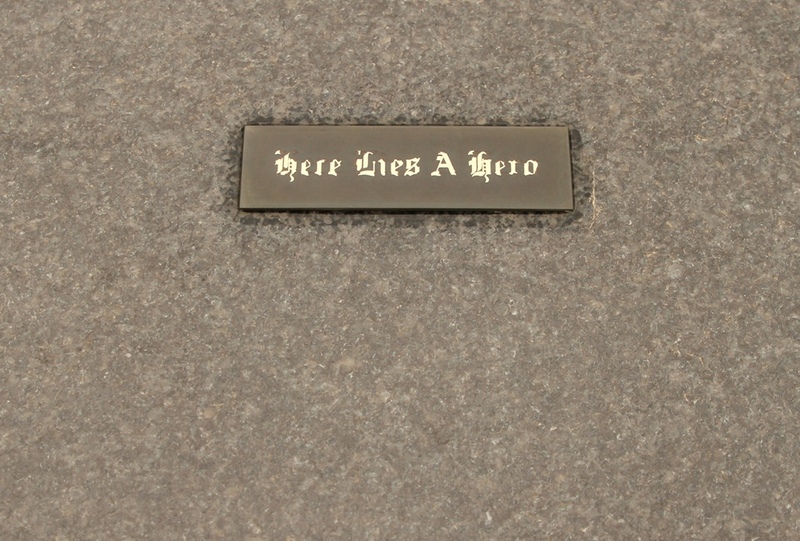 The marble stone enscribed ” Here Lies a Hero ” was placed on the grave by Petrina , “” Dutch ” Hugo’s eldest daughter, husband Nils. There is also a photo of part of the runway which Tinus’s friend who, is on a neighbouring farm, uses to this day and was used by ” Dutch ” Hugo when he was farming there. 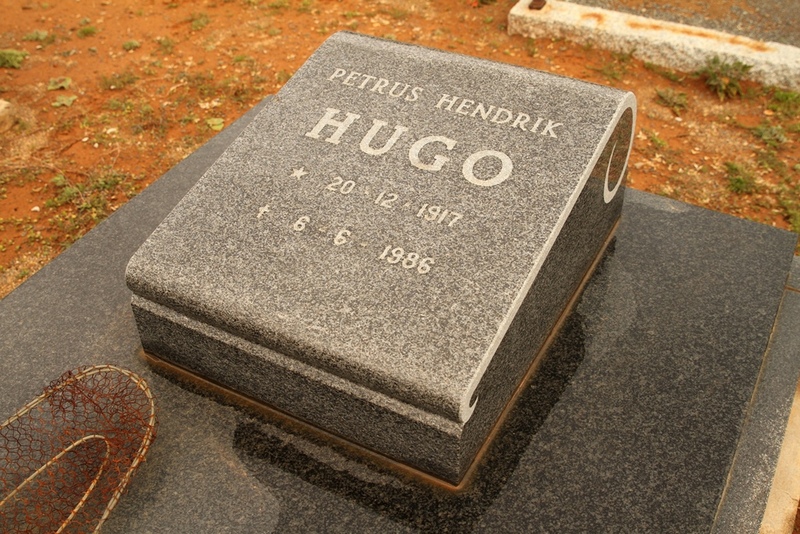 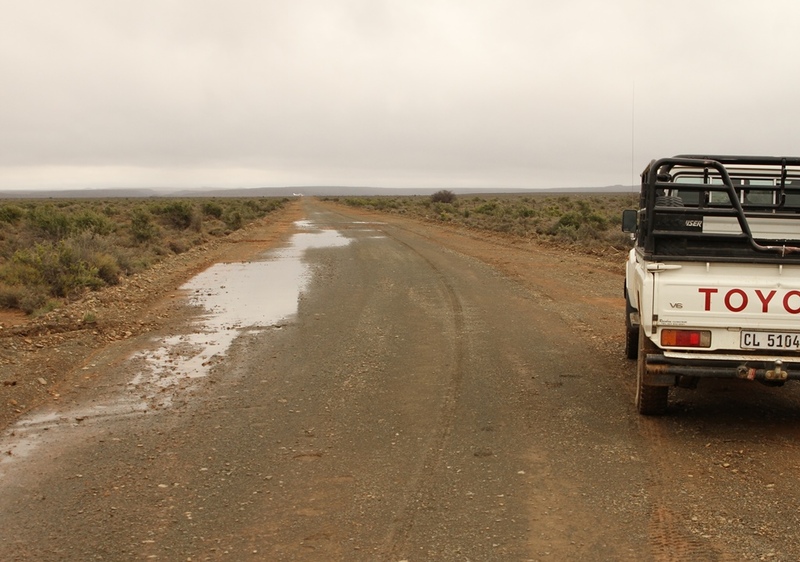 Tinus’s friend named and registered the airstrip ” Piet Khaki Hugo ” the name ” Dutch ” Hugo was also known by and given to him by his sister. 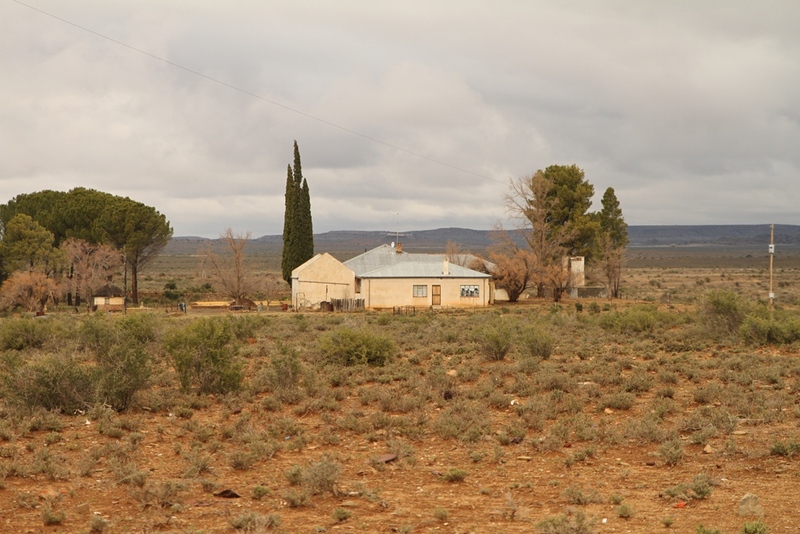 Hope you have enjoyed this article and again a big thank you to Tinus.